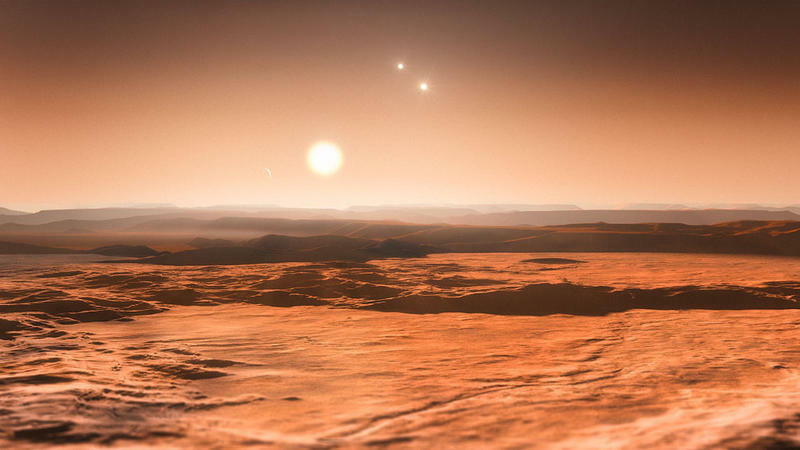 European astronomers say they've confirmed up to three super-Earths orbiting the red dwarf star Gliese 667C; the news follows up on a study done by Canadian astronomer Philip Gregory from last year. One super-Earth is noteworthy in and of itself. But three in a specific habitable zone is much more exciting. Imagine vacationing not to a different country, but a nearby planet. See you later, Earth. Gonna check out super-Earth. The initial findings by Gregory were inconclusive—at least in the way Gregory approached it. But other astronomers decided Gregory's findings, although shaky at best, were worth exploring in a new way. So the data was examined even further, with the super-Earths existing in the highly dynamic system a foregone conclusion. Talking about the new data, io9 reached out to Guilem Anglada-Escude, a postdoctoral researcher at the University of Goettingen in Germany, to see how the conclusion was made. "We extracted the signals with two independent data analysis methods," Anglada-Escude said. "Bayesian analysis with some prior choices—which was very important to the study—and what we call log-likelihood periodograms. Both methods aim to identify the global best fit solution when one planet is added." io9 further explains how researchers were able to determine there are super-Earths located in the system , and also provides more in-depth info on Gliese 667C, which is estimated to be around 22 light-years away. While the possibility of ever residing on a super-Earth—a planet where liquid water can exist—are still years and years and years off, it never hurts to charter mankind's next possible destination.